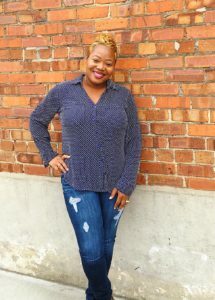 Justina Massalee is the founder of ChloShea Naturals, a Charlotte-based business specializing in natural handmade body butters. Being married to a West African man exposed me to the various traditional ways in which my husband’s family used Shea butter. They not only used the Shea butter as a moisturizer for dry skin but also as a key ingredient in home remedies for sicknesses. Intrigued by its versatility, I decided to extensively research the numerous benefits Shea butter has to offer. When my husband returned from West Africa with a small batch of shea butter in 2014, ChloShea Naturals was born. I began experimenting with the butter to soften its texture and enhance its smell. I quickly realized that my love for cooking would help me produce the best body butter creations. Over time I learned to successfully tweak my butter compositions to produce silky, fragrant body butter concoctions just as I learned to tweak my cooking recipes to produce delicious southern cuisine. Through experimentation, I discovered that Shea butter could be made into a body butter by adding other butters, essential oils, phthalate free fragrance oils, and carrier oils that also provide significant health benefits. 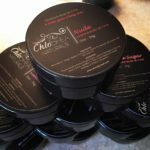 After coming up with a great formula for body butter, I began sharing ChloShea Naturals body butter products with family, friends, and co-workers. Since its launch, ChloShea Naturals continues to thrive one satisfied customer at a time.